For many patients, contact lenses are not an option, they are medically necessary. 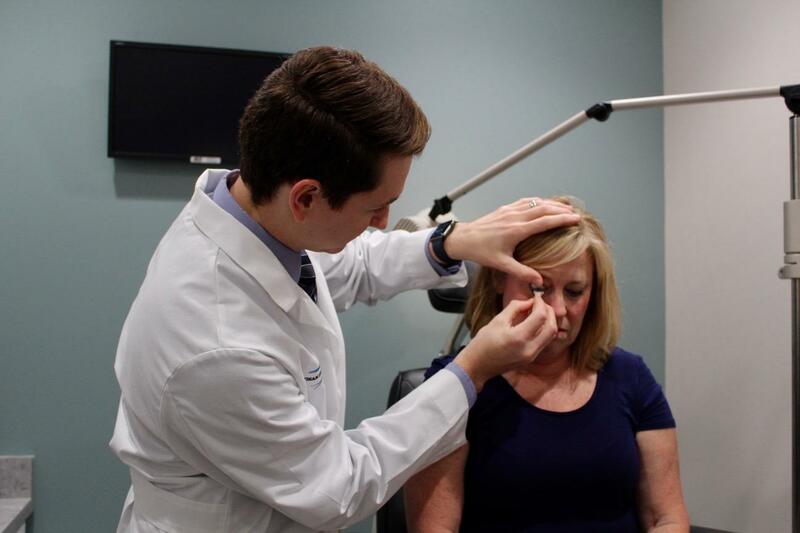 Whether your vision has been compromised by a corneal disease such as keratoconus or you suffer from chronic dry eye disease, your solution is waiting at Artisan Eye in Lakewood Ranch, Florida. Cory Collier, OD, FAAO, FSLS is residency trained in Cornea and Contact Lenses with vast clinical experience in managing complex corneal disease with therapeutic contact lenses. Request an appointment online or over the phone today to take the first step towards clear and comfortable vision. What are therapeutic contact lenses? Therapeutic contact lenses satisfy a medically necessary function for the people who use them. The most common functions are providing clear vision to those cannot achieve this with glasses and/or conventional contact lenses and the treatment of dry eye disease. How can therapeutic contact lenses improve my vision? How can therapeutic contact lenses help my dry eye? As a Fellow of the Scleral Lens Education Society, Dr. Cory Collier has been recognized for his clinical work helping patients like you achieve success in scleral lenses. What kinds of therapeutic contact lenses do you offer? With in-office corneal imaging, cutting-edge contact lens options, and the advanced knowledge and clinical experience of Dr. Cory Collier, clear vision and comfortable eyes may be within your reach with therapeutic contact lenses. To find out if you may benefit from therapeutic contact lenses, request an appointment online or over the phone today.